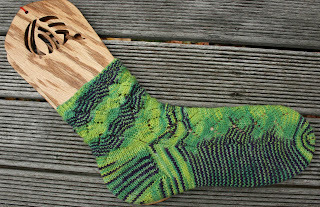 I’ve blogged before about the continuing obsession with Cookie A’s Monkey socks. So of course, here is, yet another, Monkey. Mystery Machine is right up there in my favourite Knitsch colours, and as this Monkey grew, the more I loved it. 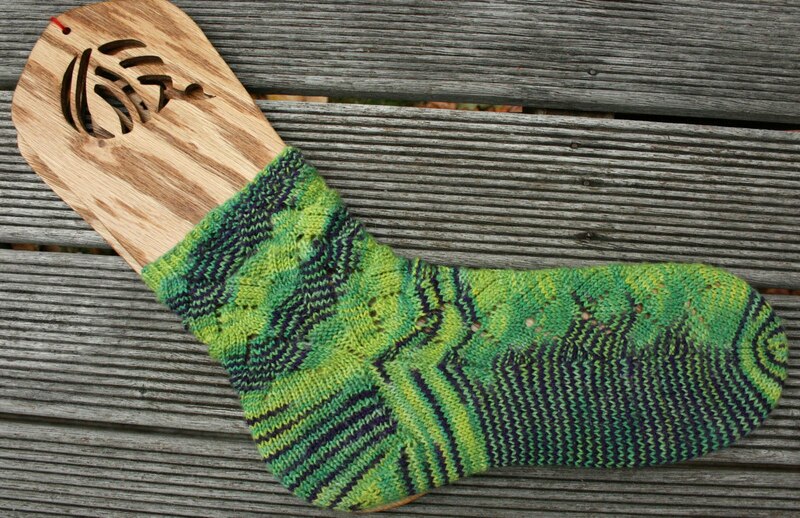 The purple seems to peek in to see what’s going on, and then retreat again in the heel.